Participants in career-oriented programs offered through the University of Georgia Center for Continuing Education may be eligible for financial assistance. Military Assistance: The Georgia Center is eager to help military personnel, spouses and veterans find professional education options that qualify for military funding. Learn about the funding sources and course choices that may work best for you. AmeriCorps: vouchers accepted; call the Georgia Center at +1-706-542-3537 or toll-free at 800-811-6640 for details. Workforce Innovation and Opportunity Act (WIOA): If you have been forced out of work due to downsizing and reorganization, you may be eligible for federal training dollars. The Workforce Innovation and Opportunity Act (WIOA) is designed to help displaced workers obtain training in fields that serve local employee bases. You may request a University of Georgia Center for Continuing Education course if it is not conveniently offered on the WIOA Eligible Provider/Program List (EPL). Contact your local Department of Labor representative or One Stop Advisor for more information: https://dol.georgia.gov/locations/career-center. 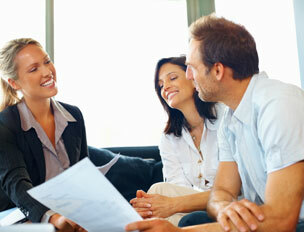 Private Lenders: The following is not a preferred lender list and is provided only as a courtesy. The lenders are presented in random order. You are completely free to use a lender not on the list. The University of Georgia receives no benefits from any lender. See the University of Georgia Student Loan Code of Conduct for further information. The lenders offering these loans determine their interest rates, enrollment status requirements, repayment options, and any fees that may apply. Contact the lender directly for further information on requirements, rates, and application procedures. Other Funding Sources : University of Georgia Center for Continuing Education programs are not eligible for a Hope Grant, Hope Scholarship, Pell Grant or any other federal financial loan package. For more information on programs that are eligible for these loan options please visit or contact the University of Georgia's Office of Student Financial Aid.